I have been involved in so much research over the years about the gender pay gap and the issues that stop women from reaching the top of their careers. And I’ve celebrated with many women who have made it. I have spoken at the Fawcett Society Conference, in one of the House of Commons committee rooms as part of The Debating Society and I’ve written reams about the issue. I mentor many young women, I talk to many women in different professions, in different countries – I love meeting new people and hearing their experiences. And where I end up, is that there are three main issues that affect women. Culture. Confidence. Choice. 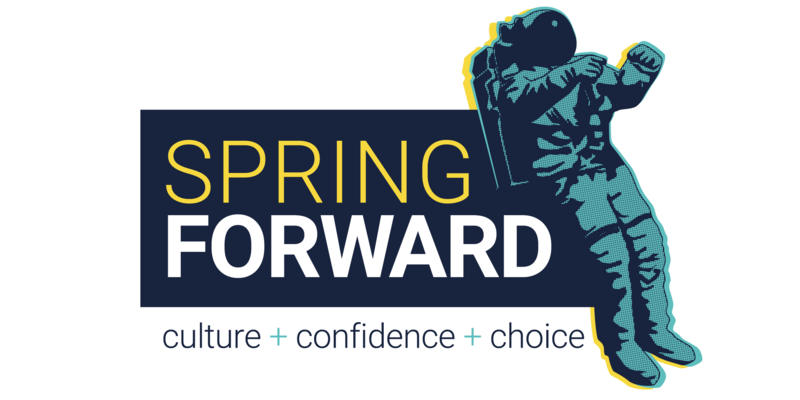 So, known as a woman of action (I literally find it hard to sit still), I have been working with friends and colleagues and today…..I am proud to present our inaugural Spring Forward Conference in Bristol, aimed at women (with men warmly welcomed as well) who are ready, or want to be ready, to take the next step forward in their career. Spring Forward on Thursday 24th May will take place at the Watershed; an inspiring location right in the heart of Bristol, with good access via public transport, nearby parking and great food and refreshments available throughout the day. Book Here. We will have a mix of keynote speakers and workshops as well as the opportunity to take part in some focus groups; exploring the issues of culture, confidence and choice. There will, of course, be plenty of time for networking. We hope you will leave feeling confident, coached, supported and encouraged to achieve your goals. We hope that you will see that Bristol and the South West are great places to work, to live and to thrive. You will hear from speakers who may surprise and inspire you – our aim; for you to leave thinking: ‘if they can do that…I can’. You’ll meet inspiring women, who like you, are trying to make it all work. You’ll gain some top tips on how to get that job role, that promotion, that board position. You will have the option to take part in focus groups and help inform our white paper: Women in the Boardroom? The C Words: Culture, Confidence and Choice. Karen Boswell OBE – Global CEO and Managing Director – Hitachi Rail Europe. Nathalie McGloin – female racing driver paralysed from the chest down; she races a hand-controlled Cayman S in the Porsche Club Championship, competing against able-bodied men. Sarah Wait – Director of Forward Planning Services at Kantar Media and Middle Warden of the City of London Company of Public Relations Practitioners. Mel Bound – Founder and CEO of This Mum Runs.